WebAction, Inc., provider of the most comprehensive realtime stream analytics platform, announces key advances in the areas of access, usability and productivity in conjunction with the release of WebAction version 3.1. These enhancements include integration with Elasticsearch®, broader support for the Hadoop ecosystem, new SQL Server change data capture (CDC) adapter, and a new modular dashboard. WebAction Smart Search™ is now integrated with Elasticsearch as the backend for indexing and storage, making it easier and faster to search and query big data records. Both aggregated data fields and raw data fields can now be indexed, resulting in instant, targeted searches. WebAction goes beyond the batch data processing of Hadoop, and into the realm of realtime stream analytics. WebAction enables the continuous processing of structured, semi-structured and unstructured data – both realtime and historical – from a wide variety of data sources. Version 3.1 expands current predictive analytics and data acquisition capabilities. Realtime predictions now use key machine learning algorithms, and allow users to leverage best-in-class open source technologies. The upgrade also extends change data capture (CDC) coverage for key databases with the addition of Microsoft SQL Server support. One of the most costly aspects of developing a stream analytics solution is the coding of custom user interfaces that must evolve as application requirements change. 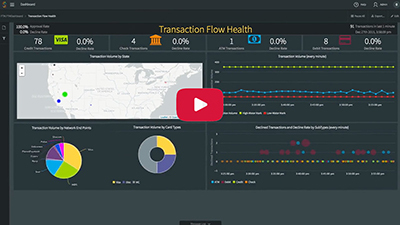 WebAction’s new modular dashboard removes many of the complexities of creating a UI, enabling users to quickly create interactive dashboards and applications to visualize streaming data. A drag-and-drop visual editor speeds development without compromising access to the multi-level drill downs and the details that power users require. 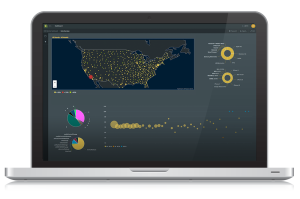 This new modular dashboard also provides both metadata support for design and visualization components, as well as numerous added visualizations including new charts, heat maps and icons. Dynamic cluster reconfiguration – allows servers to be added to an existing cluster, either explicitly or via auto-configuration, without stopping the application. Source preview – a UI-driven glimpse into raw data. Enhanced query support, including the ability to perform ad hoc queries. From the data management experts at Golden Gate Software and the application experts at WebLogic, WebAction provides the most comprehensive, realtime stream analytics platform. The continuous processing of high-velocity data provides enterprises with tailored, up-to-the-millisecond visibility into their customers and business, in-time and in-context to ensure the best response. The robust and highly scalable platform assimilates both structured and unstructured data from a wide variety of realtime and static sources such as market data, Internet of Things (IoT) and mobile devices, sensors, log files, social media, and transactions. With this data inmemory, users are able to quickly aggregate and correlate data across multiple streams, and deliver robust, custom-built Big Data analytics applications. WebAction is headquartered in Palo Alto, CA. Please stop by our offices, or visit WebAction online at www.webaction.com, LinkedIn, Twitter, and Facebook.